No body needs to know this bike is electric but you! Ideal for downhill or simply the daily commute; we believe we have engineered the perfect electric bike which ticks all the boxes. Our new Ghost electric bike is the latest in electric bike design. Travel further, sweat less and be confident. 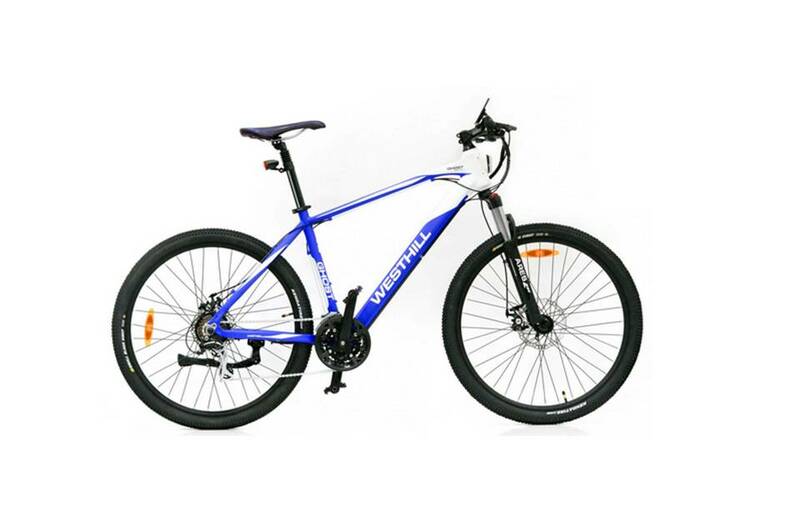 The classic mountain bike frame contains the battery to give a sleek appearance. The control panel has been updated to feature a modern LCD screen which allows you to control all aspects of the bike; from speed to switching on the headlights. Distance can be monitored, both for the current trip and miles ridden overall. Another handy feature allows you to see how many miles left you have on the battery, ensuring you can reach your destination. Hidden Design - Great bike Great bike full of hidden features, high performance from the motor to get you up hills!